Without even really realizing it, The Nose has been covering the 91st Oscars field since early last year, and we still don't know that much of what to expect. We do know that, for the first time since 1989, the Oscar ceremony won't have a host. And we also know that, for literally the 91st consecutive time, there won't be a Best Popular Picture award awarded. But of the actual awards that will actually be awarded, who'll win what? That's much harder to tell even though The Nose, and its cousin that we clumsily call "Not Necessarily the Nose," has covered 14 nominated films encompassing 64 Oscar nominations. These're them and those conversations neatly embedded in fancy Soundcloud format or hyperlinked for your browsing convenience. Covered on The Nose February 1, 2019. Nominated for ten Academy Awards. It just so happens that we talked to one of Roma's Oscar-nominated sound designers this year too. Skip Lievsay won an Academy Award for a previous Alfonso Cuarón picture, Gravity, and he's nominated for Sound Editing and Sound Mixing for Roma. He's done the sound on every Coen brothers movie to date, and we talked to him for a show about the Coens and their Oscar-nominated film, The Ballad of Buster Scruggs. 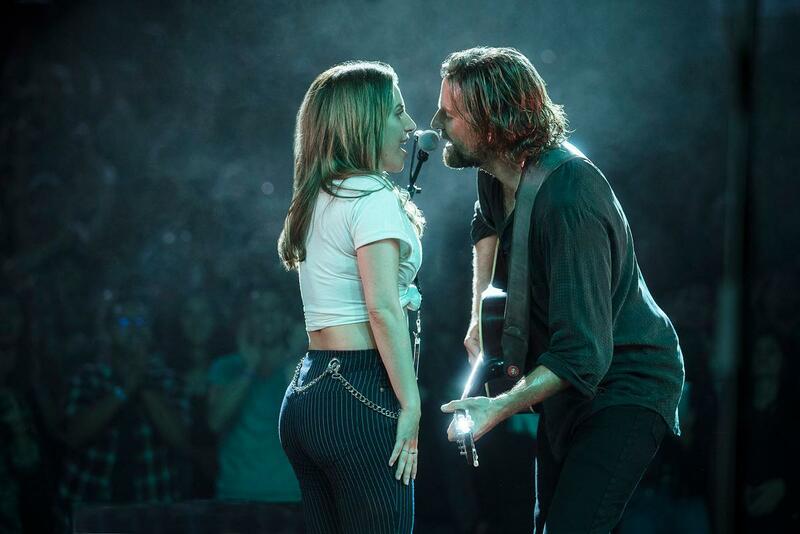 When we blew up The Nose and did, in its place, a whole show about Bradley Cooper's A Star Is Born, the remake was a prohibitive favorite across any number of big-time Oscar categories: Best Picture, Best Director, Best Actor. There was even some thought that Andrew Dice Clay might score a Supporting Actor nod. Instead, Cooper was snubbed in the directing category, and the only award A Star Is Born can count on, really, is Best Original Song. Lady Gaga and Bradley Cooper in 'A Star Is Born' (2018). Covered on Not Necessarily The Nose October 12, 2018. Covered on The Nose January 4, 2019. Covered on The Nose February 23, 2018. Nominated for seven Academy Awards. Covered on The Nose August 17, 2018. Nominated for six Academy Awards. Covered on The Nose February 15, 2019. Nominated for five Academy Awards. Covered on The Nose October 19, 2018. Covered on Not Necessarily The Nose November 21, 2018. Nominated for three Academy Awards. Covered on The Nose November 16, 2018. Covered on The Nose April 13, 2018. Covered on The Nose June 22, 2018. Nominated for one Academy Award. Incredibles 2 showed in theaters with the now-Oscar-nominated animated short film "Bao," but somehow we failed to talk about it. Whoopsies. Covered on The Nose April 6, 2018. Covered on The Nose June 1, 2018. Crazy Rich Asians was a major moment in Asian-American pop culture. The movie was a critical and box office success, and it was nominated for major awards at the Golden Globes, Screen Actors Guild Awards, and others. But it was completely shut out of the Oscars. Eighth Grade was one of the buzziest indie pictures of the year. 15-year-old Elsie Fisher was nominated for Best Actress at the Golden Globes. Bo Burnham's screenplay has earned a number of critics' awards and nominations. But the picture wound up with zero Oscar noms. Won't You Be My Neighbor? was the highest-grossing documentary of 2018. And as often happens, it failed to garner a Best Documentary Feature nod. 2018 was the year of the prestige horror film. Hereditary? Zero Oscar noms. A Quiet Place? One Oscar nom for Sound Editing. Relatedly: Emily Blunt -- who was also Mary Poppins this year, by the way -- still has zero Oscar noms in her whole career. That's just craziness. Mission: Impossible -- Fallout was probably the best action movie of the year. And here's the thing: Going-on-60 Tom Cruise broke his damn ankle to bring you people a good, high-concept, popcorn movie that doesn't have anything to do with Marvel or DC or Star Wars or Star Trek or Harry Potter or Jurassic Park. And could the Academy recognize that with some nominations for Sound or Visual Effects or Editing or Cinematography? No. It could not. Partly to get her off our back, partly because The Good Place really is "a sitcom that's also a profound work of philosophy," and partly because its Season Three season finale aired last Thursday night, last Friday afternoon we finally did a show about The Good Place. ...And then we got preempted by the president halfway through the forkin' show! So this hour, we try again. Partly to get her off our back, partly because The Good Place really is "a sitcom that's also a profound work of philosophy," and partly because its Season Three season finale aired last night, this hour we're finally doing a show about The Good Place.